Revolution for the hell of it. Directed by Tom Hooper. With Hugh Jackman and Russell Crowe. Now playing. 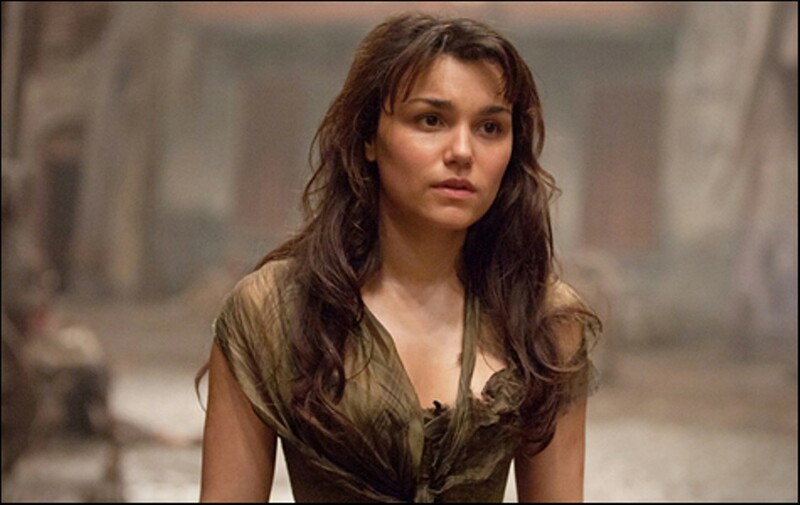 Les Misérables succeeds on the level of spectacle, certainly not because of its weak melodies. No one ever exited the mega-hit stage show humming its songs, but audiences were plenty captivated by the eye-popping stagecraft effects of storms and revolutions and such. A movie allows for much more special-effects magic than a theater piece, and director Tom Hooper justifiably pours it on. That said, once we get past the gargantuan spectacle there's as little to hang onto as there ever was. Let's accentuate the positive. 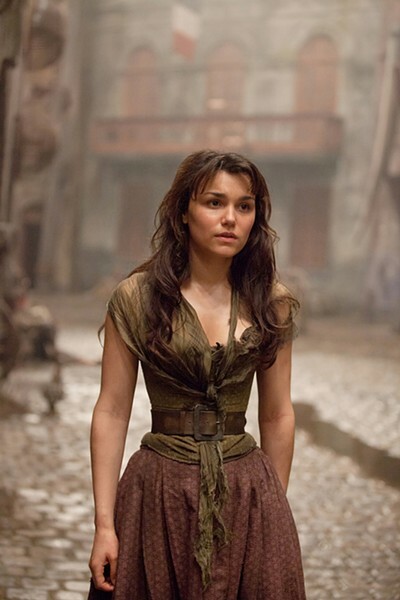 Hugh Jackman (hunted protagonist Jean Valjean), Anne Hathaway (pathetic factory worker turned whore Fantine), Eddie Redmayne (Marius the revolutionary), and Samantha Barks (working-class firebrand Éponine) all have strong, clear voices. The decision to have them sing their parts "live" suits them well. Lumbering Russell Crowe does what he can with Valjean's nemesis Inspector Javert. And it must be said that Helena Bonham Carter and Sacha Baron Cohen are getting a trifle overexposed in movies these days — their comic-relief villains the Thénardiers aren't quite as amusing as they were obviously meant to be. Hooper, who made The King's Speech, is an apt choice to manage this unwieldy would-be crowd-pleaser. Its smaller-scale scenes, such as those between lovers Marius and Éponine, are a welcome antidote to the showbiz blunderbuss-ness of the thing, although Victor Hugo's message — that things are tough all over — is not diluted much. For thrilling visuals and a surfeit of barricades, you could spend a holiday evening at the movies far more miserably than this.